April began with a familiar war breaking out across the Marvel Universe: The War of Events. After owning the spotlight for the previous two months, Avengers: No Road Home made way for “War of the Realms,” Marvel’s line-wide event years in the making. 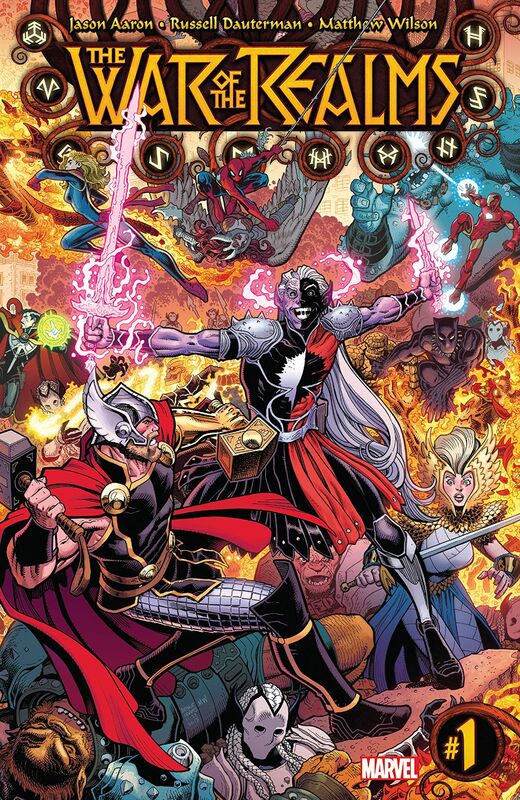 Malekith’s invasion of Midgard met the joint might of Avengers and Asgardians, but they could not prevent the first two casualties of the battle. The kick-off to the event scored 85 review points for 24 characters. No Road Home’s 43 points normally would have earned it the top spot for event books while the other two event titles fell far short of those lofty numbers. Age of X-Man: Prisoner X only earned 10 points and Amazing Spider-Man‘s latest “Hunted” book featured the death of C-list character Gibbon while earning 9 points. Cyclops lost an eye in Uncanny X-Men, but he kept his eyes on the top prize for team books. X-Men came in with a review score of 46 points and Hope Summers earned an Antagonist of the Week for leading a new iteration of the Mutant Liberation Front and maiming her adoptive grandfather. Marvel Team-Up returned for a fourth volume, and like previous iterations it starred Spider-Man mixing it up with another hero. Ms. Marvel joined forces with Spidey for the 20-point book, coming in behind the other team books including Kamala’s Champions (25) and Domino’s Hotshots (30). Another one of Cyclops’ grandkids starred in the top solo title of the week as it was revealed Major X was Alexander Nathaniel Summers. Rob Liefeld’s latest creation for the X-universe earned 27 points.